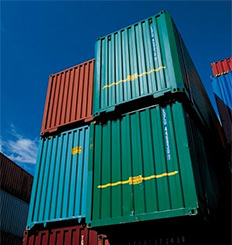 R.K Logistics will transport your precious cargo - to or from anywhere in the world - safely, securely and economically. Whether you choose air freight, sea freight or, road freight - or any combination of the three - you can be sure that your possessions will be delivered to your chosen destination on time. Which mode of transit should you choose? When making your choice bear in mind that sea freight and road freight charges are determined by volume; air freight rates are based on size or weight - whichever is the greater. The top choice of manufacturers in India and abroad, R.K Logistics - with its extensive local and global partnership network - can provide full customs clearance at both departure and arrival points. From the time we collect your baggage to its arrival at your chosen destination, R.K Logistics takes care of everything for you. Our charges are inclusive of customs clearance, terminal fees and local delivery costs. If you are looking for a slightly more economical service, our door to port shipping service allows you or your consignee to collect your shipment on its arrival at concerned ports. Our agents worldwide can clear it through customs and settle any terminal charges. If you have to send your shipment overseas, R.K Logistics can ship them - by air freight, sea freight and/or road freight - to your buyer or consignee, for for collect payment. Our flexible shipping and storage services are there to make your life easier. The mantra of R.K. Logistics over the years has been to provide quality service by virtue of One to One Correspondence and feedback. We strive to gain the respect and ongoing support of our customers by offering quality and value added service while maintaining the highest ethical standards. Our objective is to perform beyond the expectations of all our customers in everything we do. Copyright © 2012-2016 rklogistics.in. All rights reserved.